The Canon 5Dmk3 is a full-frame camera with a powerful set of features. When Canon launched their flagship camera for sport and action photography, the 1DX, at almost the same time, many users of the older Canon 1Dmk4 began selling their cameras off. At the time of writing, brand-new Canon 5Dmk3 bodies and used 1Dmk4 bodies are selling for similar amounts. Although these are two somewhat different cameras, they are both capable of fulfilling a variety of photographic roles. If you are in the market for one of them, and are unsure which one suits your needs best, keep on reading. I have compared the two cameras feature for feature, and also shared my own shooting experience with both of them. For the purpose of this comparison, I have included the 5Dmk3 without the optional battery grip because that is how I use mine. The 5Dmk3 has a pretty tough feel to its build , and feels very similar to the 1Dmk4 in this regard. Whilst Canon do not clearly define how weather-sealing and durability differences are measured in their high end cameras, the fact that the 1Dmk4 makes use of sealed buttons as opposed to the mode dial on the top of the camera probably mean that the 1D has the edge when it comes to build quality and weather-sealing. Canon also state that recent 1D bodies are made with the highest level of weather-sealing. The 5Dmk3 body weighs around 950g with a battery inside, which is a lot lighter than the 1Dmk4 at 1360g. The 5Dmk3 holds a clear advantage here. The 5Dmk3 battery charger weighs just 125g, compared to more than 340g for the 1D charger. 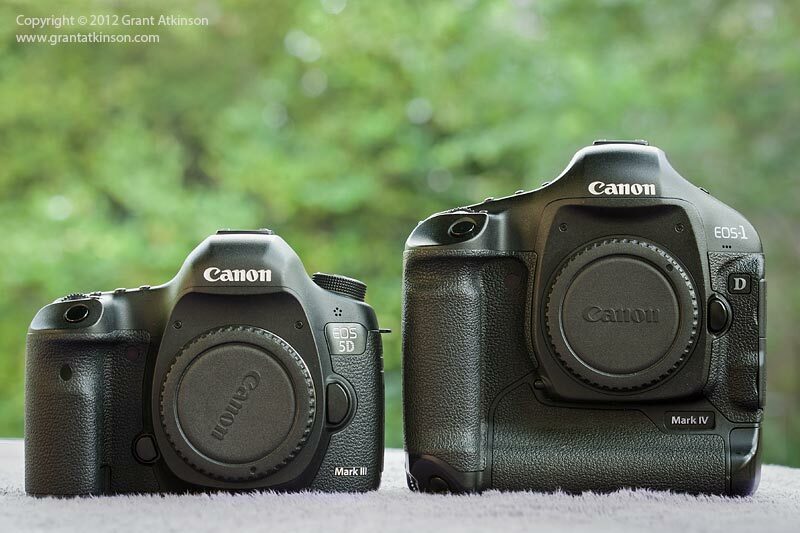 Canon 5Dmk3 and Canon 1Dmk4. Click on image to view at larger size. The two cameras are not too different when it comes to control sets, which is a good thing. Although the locking mode dial and the On/Off switch beneath it on the top left of the 5Dmk3 work well, I prefer the location of the On/Off switch on the 1Dmk4, on the back of the camera. On the 1Dmk4, I can flick that switch on with my right thumb whilst aiming the camera in a hurry and supporting the lens with my left hand. The location of the switch on the 5Dmk3 forces me to change my grip and takes me longer. 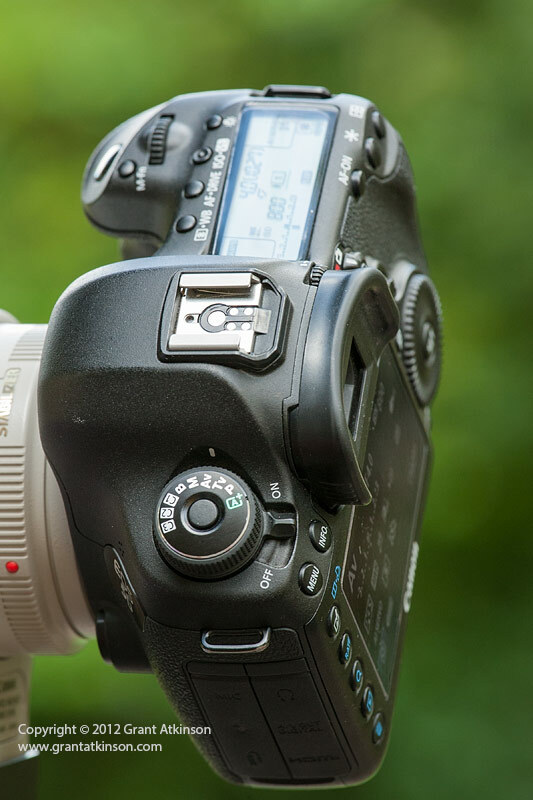 The 5Dmk3 has a dedicated Live View switch that sits out of the way and is easy to activate, whereas on the 1Dmk4 you have to choose a button to do this function, and it is easy to accidentally engage Live View on it. The 5Dmk3 has a larger rear LCD screen with greater resolution, whilst the 1Dmk4 has an additional LCD screen beneath the main screen which shows information that isn’t overly critical to my shooting. Both cameras have similar information shown on their top screens. New on the 5Dmk3 is a rubberized, sealed compartment for the media cards, but the 1DMk4 has a locking door that feels tougher. The 1Dmk4 is built with an integral vertical grip and this makes the camera a lot higher and heavier. The extra surface area below the level of the rear screen that the grip provides makes for added comfort when holding the camera for long periods. Of course it is possible to attach the optional battery grip to the 5Dmk3 which will also add extra gripping area down below. The 5Dmk3 battery grip also comes with its own, dedicated AF multi-controller, whereas reaching the solitary AF multi-controller when shooting vertically on the 1Dmk4 can be tricky. On the 5Dmk3, the front part of the grip, where your fingertips wrap around, has been deepened for a more secure hold. There is also a raised ridge that runs down the right rear of the camera. Whilst these changes have been made to improve the overall grip, I am finding that the raised ridge interferes with my ability to easily move the AF-multicontroller on the 5Dmk3. People with bigger hands than mine don’t seem to notice anything at all, and many actually seem to prefer the new shape. I find the slightly shallower and flatter grip of the 1Dmk4 better suited to my hand size. The 5Dmk3 holds an advantage when it comes to customizing controls, even the somewhat obsolete (for my needs) depth of field preview button can be set to do something useful. The eyepiece on the 5Dmk3 is situated closer to the camera back than the one on the 1Dmk4, which has a lot more space for the photographers nose. The shutter on the 5Dmk3 is rated for a life cycle of approximately 150 000 cycles, whereas the 1Dmk4 has a higher durability rating of 300 000 cycles. The 5Dmk3 has a full-frame sensor (36mm x 24mm) with 22 megapixels of resolution. The pixel pitch is 6.2 microns. The 1Dmk4 does not have a full-frame sensor, instead it has an APS-H sized sensor (27.9mm x 18.6mm) with 16 megapixels of resolution. 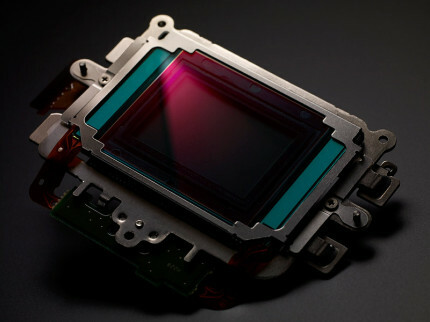 The smaller sensor gives a field of view crop equivalent to 1.3x. The pixel pitch is 5.7 microns. What that means is that the 1Dmk4 has fewer pixels, spread over a smaller sensor, and that the 1Dmk4 has smaller individual pixels. Shooting with the same lens from the same location produces two images that are different due to the 5Dmk3’s full frame sensor and wider field of view. In order to better appreciate the difference between the two straight from the camera, I have posted two images. 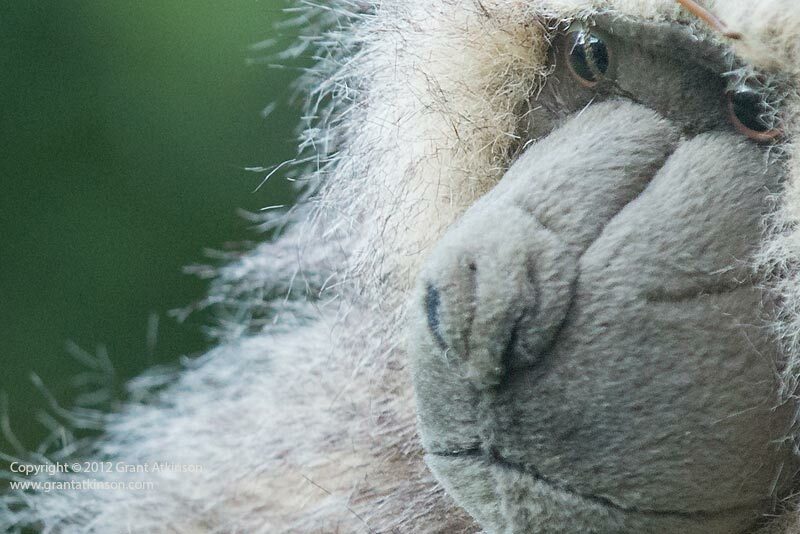 I made use of an excellent telephoto zoom for comparing image quality, that being the Canon EF 70-200L f2.8 IS II. Looking at the two images above this text, it is clear to see the wider field of view captured by the full frame sensor of the 5Dmk3. If you shoot landscapes, or need the widest possible angles from your lenses, then the 5Dmk3 is the better choice of camera. 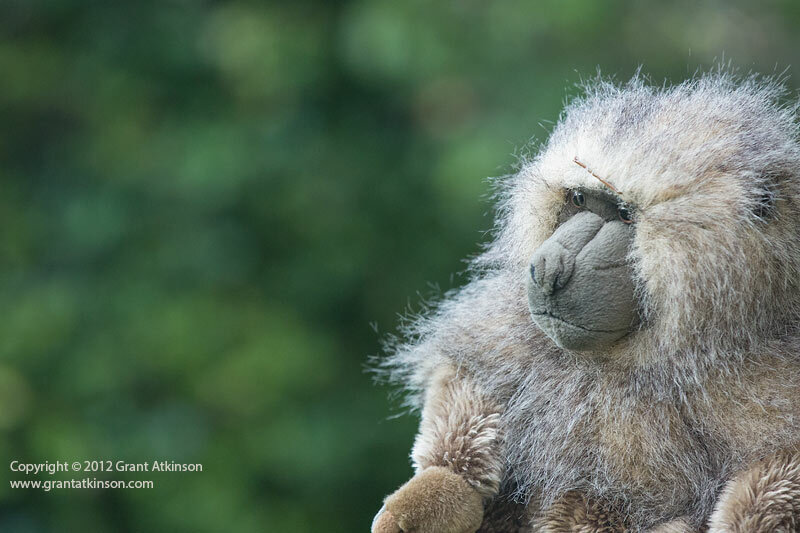 In order to make up the difference in size of the subject, I cropped the 22mp image from the 5Dmk3 until the subject was identical in size to that in the 1Dmk4 image. At identical subject sizes, the 5Dmk3 file was made up of 13.3 megapixels, whilst the 1Dmk4 image was at its full resolution of 16mp. I examined both images side by side on the screen, but was unable to discern any noticeable quality difference between the two. Cropped in that way, the 1Dmk4 held a slight resolution advantage. I downsized the images and have posted them below to illustrate this exercise better. In order to further compare image quality, I cropped the two iso 3200 images until they represented roughly 100 percent views of the original file. At that magnified view, I felt that the 5Dmk3 was showing better image quality, mostly noticeable in the low contrast areas of the background. No noise reduction applied at all. Canon 1Dmk4, EF 70-200L f2.8 IS II. Cropped to 1.3mp, 100 percent view. Iso 3200. Resized to 800 pixels on long side. 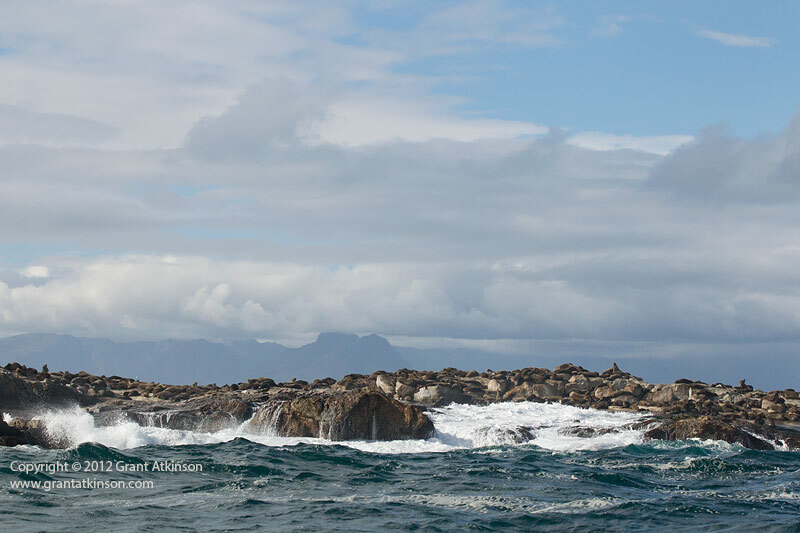 Click on image to view at larger size. If you consistently shoot subjects that are small, and far away, at the maximum range of your focal length all the time, the 1Dmk4 has a small advantage in terms of cropping images closer and maintaining a small resolution advantage. Looked at another way, you can fit more pixels of 5.7 microns into your subject from the same distance as you can fit pixels of 6.25 microns. When you compare the cameras on a pixel for pixel basis at higher iso settings, then the 5Dmk3 holds a slight image quality advantage to my eye. When you do have enough focal length for the job, or you can get closer to the subject to make up the difference in the sensor size, then the full image quality advantage of the 5Dmk3’s bigger sensor and greater resolution can be realized. For the two ocean scene images posted beneath this text, I shot the 1Dmk4 attached to the EF 70-200 L f2.8 IS II, and at the same time, had a friend shoot with the same lens, fitted to the 5Dmk3. The difference was, my lens was set to a focal length of 100mm, and on the other lens that was attached to the 5dmk3, we set focal length at 130mm. We attempted to shoot at the same time. This produced two images where subjects are quite similar in size, due to the extra focal length being utilized on the 5Dmk3 combination. In order to better appreciate the difference in image quality between the full-frame 22mp sensor in the 5Dmk3, and the smaller sensor in the 1Dmk4, I cropped into the images. Remember that earlier, we accounted for the different field of view between the cameras by shooting at a longer focal length on the 5Dmk3 image. In these crops, which represent images resampled for print, it is clearly visible that the 5Dmk3 enjoys an image quality advantage. The differences can best be seen in the shadow areas of the front rocks, as well in the low-contrast, blue shades that represent the mountain backgrounds. At a guess, these differences represent an image quality advantage of somewhere between a 1/2 stop, and one full stop of sensitivity. Overall then, the 5Dmk3 has an image quality advantage over the 1Dmk4. Understanding the difference between these two cameras in image quality is not necessarily clear, due to the different sensor sizes making direct comparisons a little complicated. If you are able to use longer focal lengths, or get closer to your subjects, to make up the field of view crop that results from the smaller sensor in the 1Dmk4, then you can expect to benefit fully from the 5Dmk3’s resolution advantage. In those images where I have composed properly in-camera, and cropping is limited to just one or two megapixels, I am finding that I can easily make use of 5Dmk3 images for print and publishing at iso 3200. If the subjects are small, or far away, and I have to crop the images quite heavily, I know that when I have 13.3 megapixels left in a 5Dmk3 image, that it matches the 1Dmk4 image in size, although the 1Dmk4 is enjoying a slight resolution advantage at that subject size. Comparing the two cameras image quality outputs in heavily cropped images shows that there is not a significant difference in image quality between them on a pixel to pixel level, although the 5Dmk3 holds a very slight advantage. Canon 5Dmk3 and Canon EF 70-200L f2.8 IS II lens. The 5Dmk3 also holds an advantage for me when I decide to crop a vertical 2×3 ration image from one of its files..such a crop yields a vertical image of 9.8 megapixels. Performing the same vertical crop on the 1Dmk4 image produces a vertical image in 2×3 ratio, of only 7.1 megapixels. The 5Dmk3 is driven by a Digic 5+ processor, which means it is a responsive camera. The shutter lag of 0.59ms, combined with a viewfinder blackout of 125ms, makes for a brisk shooting experience. For action photography, it can shoot at 6 frames per second. The 1Dmk4 outperforms it quite significantly though when it comes to response and speed. With a shutter lag of 55ms (with the option of shortening it to 40ms), and a viewfinder blackout time of only 80ms, the 1Dmk4 is very responsive. Frame rate of the 1Dmk4 is a very fast 10 frames per second. This is one of the biggest differentiators between the two bodies. If serious action photography is important to you, the faster frame rate of the 1Dmk4 may be a telling advantage. With the 5Dmk3 generating 6 x 22mp images per second, and the 1Dmk4 churning out 10 x 16mp images in the same time, it follows that buffer size on the cameras is important. The 5Dmk3 buffer shows as 13 shots in my viewfinder, and the 1Dmk4 as 25 shots. Both numbers would seem deeply conservative, as I have yet to fill the buffer on either of these two camera bodies, despite shooting literally thousands of frames with them in the field. Previous cameras that have been buffer limited for me included the 1Dmk3 and some older Canon bodies. I use only the CF card slot in both the 5Dmk3 and the 1Dmk4, and use the fastest CF cards I can find, which at this stage are Sandisk Extreme Pro 90mb/s. For action shooting, I do not put any SD cards in the SD slot in either of these cameras, as it is quite easy to accidentally end up shooting to the SD card slot, which comes with a speed penalty. The 5Dmk3 has a fantastically quiet Silent mode, and it can operate like this at up to 3 frames per second. The 1Dmk4 also has a Silent mode, but it is not nearly as quiet. The 5Dmk3 also has a very useful in-camera HDR feature, which is I find very useful and a real time saver for me. The Auto-Iso program is more advanced in the 5Dmk3 and allows more fine-tuning and control of Auto Iso as an option, whereas Auto Iso implementation is functional in the 1Dmk4 but not very refined. Both cameras have glass pentaprism viewfinders, but the 5Dmk3 has an LCD overlay that I find very useful with a rule of thirds grid that helps me keep my horizons level when I am shooting. The 5Dmk3 also has an in-camera electronic level that can be very useful for getting your camera straight, especially when using Live View or shooting off of a tripod. For long exposure shooting the 5Dmk3 has a somewhat gimpy rubber eyepiece cover that attaches to the camera strap and is easy to lose and fiddly to use. The 1Dmk4 has a sliding, built-in shutter for closing off the viewfinder to stop light coming in during long exposures. The 5Dmk3 uses the LP-E6 battery, which usually gives me around 1200 shots on a charge. The 1Dmk4 uses the NP-E4 battery, which usually gives me somewhere around 1500 shots on a charge. 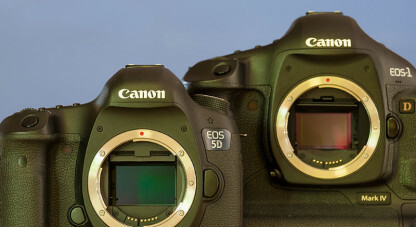 The 5dmk3 has autofocus that is light years ahead of earlier 5D models. The AF grid is made up of 61 points, and coverage is good, meaning the points go a long way towards the edges of the frame and there are enough of them that you are almost always able to place a point where you want to focus. Five of the AF points are extremely high precision when used with an f2.8 or faster lens. Those five are placed two above and two below the very middle AF point. Of the total of 61 AF points, 41 are cross-type, depending on which lens is attached to the camera. Not only does the 5Dmk3 have high-quality AF points and a lot of them over a wide area, but there are also many ways to control how you utilize them. You can choose from a single, reduced-size precision point (called Spot AF), a single point, a small cluster of 5, a cluster of 9, a movable zone of points and fully automated AF utilizing all 61 points. It is also possible to opt to use only the cross-type points as a selection. 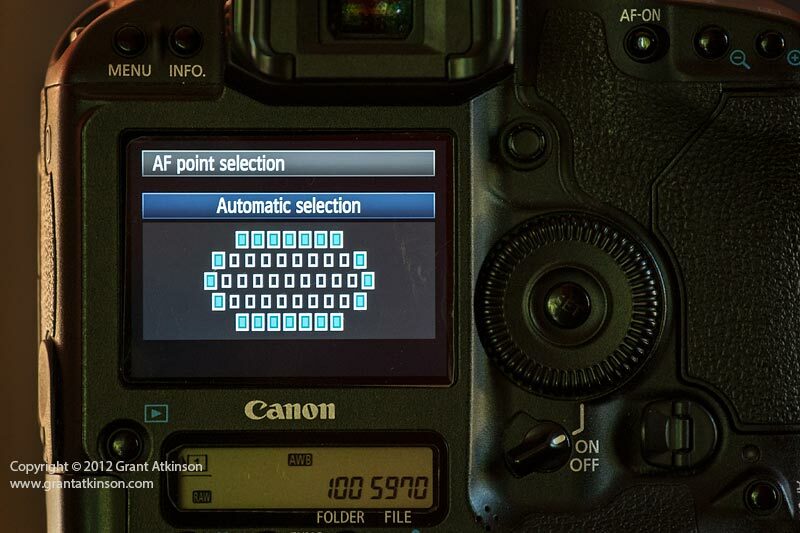 The way that the AF points display can also be customized, and you can have all of them visible in the viewfinder at once, or just your selected one. 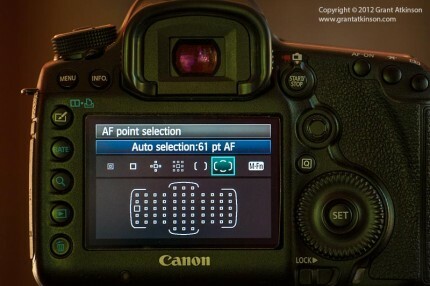 There are also a set of three controlling parameters that determine how fast, how sticky and how responsive the AF function is, and you can either choose to set each parameter yourself, or make use of Canon’s presets, of which there are six. Each preset is suited to a particular AF scenario. To gain a deeper understanding of the 5dmk3 AF parameter function, read my 5Dmk3 AF guide here. The 1Dmk4 has a 45 point AF grid. Although it has fewer points, the 45 point oval covers a greater portion of the 1Dmk4’s frame and extends very close to the edges, which gives flexibility for composition. Of the 45 AF points, 39 are cross-type and offer high-precision AF performance when an f2.8 or faster lens is attached. If a lens with a maximum aperture of f4 is attached, then only the centre point remains a cross-type, and the rest become horizontal-line sensitive only. There are a number of Canon f4 lenses and extender combinations that still retain the cross-type function throught 39 AF points though, and they are listed in the 1Dmk4 AF literature. Trying to work out all the possible permutations can be quite an exercise in itself. Fortunately all the background numbers and specifications pertaining to different f4 and f5.6 lenses are easy to forget once you just start using them on the 1Dmk4, as the AF is good enough that it works very well, regardless of cross-type point or not. You can choose to shoot with a single AF point, or one on each side of your selected point, or a cluster of 9, or all points in automatic AF mode. It is also possible, if using an L-series telephoto lens that has the programmable AF-stop buttons to configure them to activate Spot AF, which reduces the size of the selected AF mode for greater accuracy. It is also possible to reduce the number of AF points in the grid, if you find that you prefer working with less. There are also a set of controlling parameters that determine how fast, how sticky, how sensitive and how responsive the AF function is, and you have to choose each setting yourself, depending on what type of AF scenario you might be faced with. Most of these parameters are similar to those found in the 5Dmk3 but that camera has an extra parameter that the 1Dmk4 does not have, called Accelerate/Decelerate Tracking. With each AF system broadly described, it becomes interesting to compare how the two AF systems perform in real-world use. I shoot mostly with lenses in the 200mm to 400mm focal length range. Both cameras have exceptionally good autofocus systems, and AF is definitely a shared strength. For still or slow-moving subjects, the AF is almost instantaneous and accurate almost every single frame. In very low light, the 5Dmk3 holds an advantage over the 1Dmk4 in that it will continue to AF when the 1Dmk4 is hunting and failing to lock on. 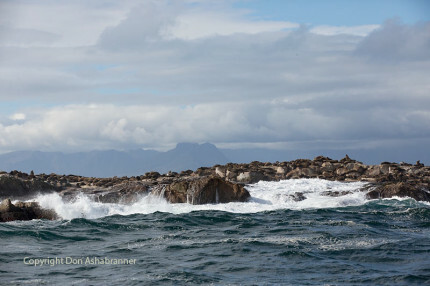 This would typically be noticeable in light so low as to be near darkness, and has more relevance for a photographer working indoors or at night than for regular wildlife photography. 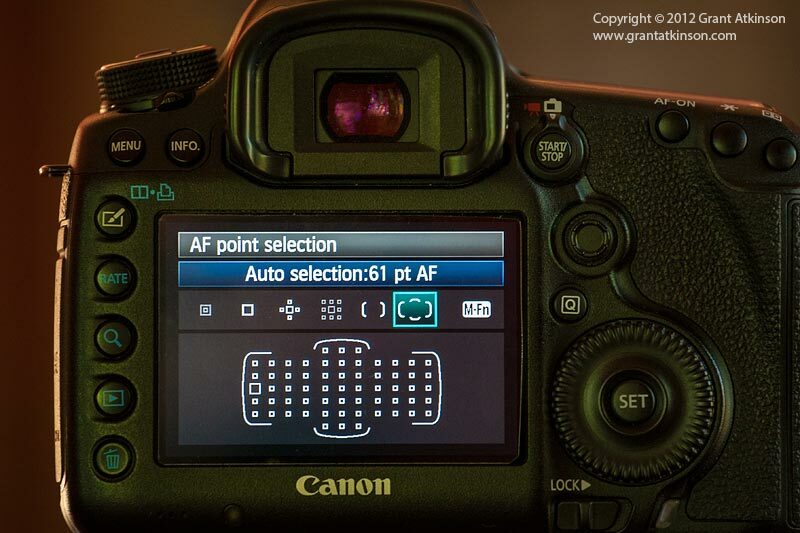 When the shutter or AF-On button is pressed to activate AF, the active AF point in the 5Dmk3 remains black. Some photographers have found this difficult to make out clearly especially when the AF point is placed against a dark subject. It doesn’t affect me at all, but most photographers prefer the way that the active AF point in the 1Dmk4 viewfinder lights up red when AF is activated. Canon have managed to make a firmware upgrade to the 1DX to make its AF point light up red, but it is not clear yet whether it can be achieved with the 5Dmk3. 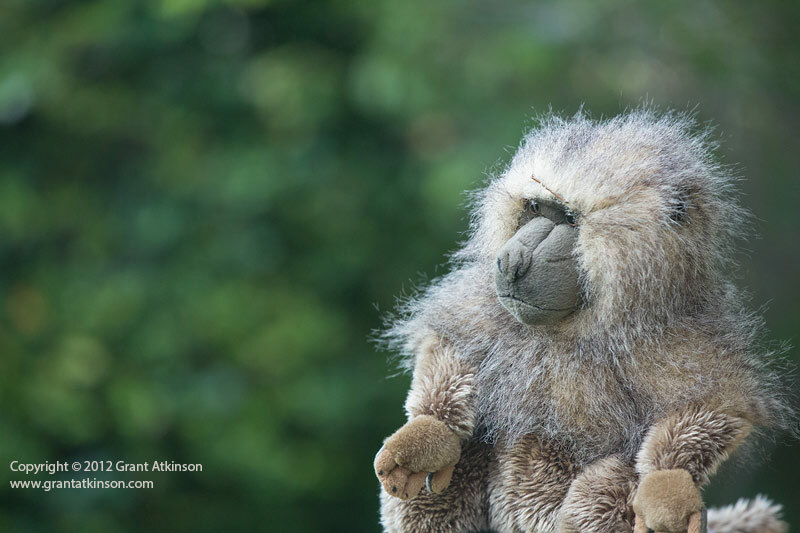 For wildlife action photography, the 5Dmk3 AF feels more stable, once you have it locked-on the subject, and a bit more forgiving, and even less likely to jump onto the background. The 1Dmk4 feels as if it grabs focus faster initially, and it works very well, often delivering several sharp shots in a row when photographing sequences of very fast targets, although it does seem a little more twitchy when compared to the 5Dmk3. Both cameras autofocus very well, and both have autofocus that is so good that it makes it easier to take on the most difficult action shots. For very fast action, I find that the 1Dmk4 holds an advantage with its faster response and 10 frames per second frame rate just giving more opportunities to get the perfect frame. The 5Dmk3 has AF that is exceptionally good, easy to use, highly configurable, and stable, with a clear advantage in very low light, and perhaps where very busy backgrounds are involved. The 1Dmk4 AF is very fast to grab focus, and accurate. It too can be configured for different AF situations. The 1Dmk4 can carry out autofocus with a lens whose maximum, wide-open aperture is f/8 (which may happen when teleconverters are used on lenses with apertures of f4 and f5.6). The 5Dmk3 may not be able to do this yet, but there is an apparent firmware upgrade for April that is meant to address that. In the end, despite many similarities, the most basic of differences is that of maximum image quality of the 5Dmk3 compared to the blazing speed and responsiveness of the 1Dmk4. There are no winners or losers between these two bodies. Both have great image quality, one is just better, and both have excellent autofocus, one is just a little faster. Each one can perform very well in a variety of photographic roles. I am fortunate in that I do not have to choose between the two, as I use a 5Dmk3 and a 1Dmk4 as my primary wildlife bodies. With the 5Dmk3, Canon have made available superior image quality, matching autofocus performance and features that were only available at 1D price levels in a compact dslr that costs two thirds of what a 1D did, and all that in less than three years..
Firstly, kudos to a real comprehensive comparison of these to wonderful cameras. Up until last I had the 1Dmk4 as my primary camera and the 5Dmk2 as a backup (my wife is a wedding tog and has the 5Dmk3 so have played with it a little.) If you are lucky enough to get your hands on one or both of them then all the better. I think that if you are focusing on Wildlife primarily, I would go for the second hand 1Dmk4 over the 5Dmk3. If you want to focus on Landscapes or are interested in both in equal measure I would probably get a new 5Dmk3. I upgraded last year to the 1Dx and have retained my trusty old 1Dmk4 as my backup camera (or for a bit of reach with the 1.3 crop). I am also a lazy git, so love the fact that I have to only take one charger that fits both Cameras now. The jump in noise reduction and Autofocus from the 5Dmk2 to the 5Dmk3 is astounding and I can see many 5Dmk2’s leading a lonely life in the second hand shops. I also have biggish hands and the 1D range just feels better in them. Hi Wayne, great to hear of your experiences with all of these cameras, and an important point that you raise to, with regard to batteries and chargers. Whenever one is using more than one body for shooting, it helps if they share a battery and charger system, specially for travelling photographers. Thanks so much for your feedback, and I hope our paths cross in the field one of these days. As a recent adopter of the 5D III, I am very encouraged to read about the high ISO performance gains that this camera offers. Well researched and informative read Grant. You are my first port of call for any information an a new piece of Canon gear! Thanks for your hard work. Hi Martin, you are going to be very impressed with the results from your new camera, and I am looking forward to seeing the images soon! If you get enough enough glass onto the subject, then the 5D3 delivers absolutely excellent results. Great to hear Gavin, and thanks for your feedback, I appreciate it. I was surprised at how better the 5D III was, in image quality than the 1D. Basically if you are not looking for the frame rate or the reach, at these prices, the 5D III has your name on it. Thanks Grant, very informative, hands on experience in the field cannot be beaten. You solved my dilemma. It is nice to have more choices though! Excellent review! Well reasoned and described and with excellent use of photos to support the points. I sold my 1D4 and 5D2 and got a pair of 5D3s last year. As much as I miss the blazing 10 fps of the 1D4 in some situations as well as the security of the weather sealing, I certainly don’t miss the 5D2 in any way (price aside) and would never been happy with it as a main body for wildlife. My main gripe with the 5D3 is the buffer size, though that is probably due to the fact that I am recording JPGs to the SD card to have an instant backup of the RAWs on the CF. The AF and low noise on the 5D3 are wonderful, and the lighter and smaller battery and charger are appreciated. It is good to see your tests that show that the cropped 5D3 image is comparable to the cropped 1D4 image and I suspect the gap would decrease or maybe reverse as ISO increases. 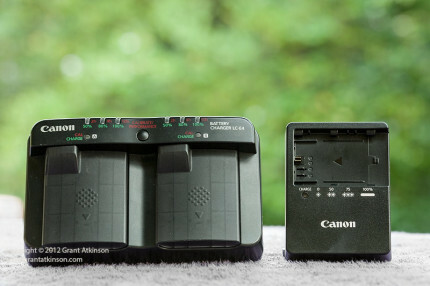 I also love shooting with 2 identical bodies – being able to share batteries and charger as well as identical ergonomics and button layouts if not settings as well are terrific. The close crop does seem to show the shallower DOF of the 5D3, which can be a positive or negative depending on the situation. Good to hear from you :-). 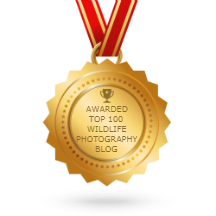 Glad you enjoyed the comparison, and also important feedback from you, as another person who has used both the 5d3 and 1Dmk4 for wildlife photography. You are right about having two identical bodies making switching between them easy and effortless..given that the 5D3 and the 1Dmk4 have a few buttons in quite different places, it can take a bit of concentration when using them side by side. Fortunately those buttons that are quite different are none of them critical for what I use for shooting, all those controls are similar. Once you crop heavily into the 5d3 image, then there is not much difference to the 1Dmk4, which also goes to show what a good sensor the Mk4 has in it, given that it is 3 years old now. I did not point out the difference in depth of field that comes from using cameras with two different sensors, and that is another point to take into consideration. Thanks for contributing your feedback..much appreciated. Hey Grant — Great review – much appreciated! I spend this past weekend shooting owls in flight with my new 5Dmk3 for the first time. So far, so good. Lighting fast AF and amazing image quality even when pushing high ISO. I am still trying to figure out the new advanced AF system – I found that “case 4” and “expand AF area w/ 4 points” tended to work the best. When I pushed for more AF points (e.g., “surround” or “zone AF”), I found the camera to be trying to lock to irrelevant subjects in the foreground or background (e.g., branches, grasses). The challenge with capturing owls in flight is less about the camera and more about my marginal panning technique trying to keep the critters in the viewfinder and in line with the AF points 🙂 I was using SD cards Sandisk Extreme Class 90 mb/s and found the buffer / image saving time to be quite slow, especially when using high speed continuous and blasting as many frames as possible when a bird zipped by me. I am thinking the CF card would make things a bit faster? Again, you wrote a great review here – much appreciated. I am going to check out your other post about the AF system on the 5Dmk3. — Cheers mate, Mark. Yep, I just read your other post – very helpful and I added your suggested settings to “my menu” – super information, thanks! Since I know nothing about the 1D series, I did find your article interesting. I do see that camera listed frequently when looking at the photos of professionals. Not that I understood all of it, but as I’ve said before, your way of explaining things actually works for me. Great site Grant and great review on cameras. Your portfolio is breathtaking. I am in awe of your talent and skill in photographing wildlife. Great review, Grant. Thanks for taking the time to write! First let me congratulate you on you great pictures and second, the very practical and honest why you review and recommend equipment backed by real field experience. As enthusiasts we are always searching for the best equipment and I see a lot of buying and selling depending on what looks like the next best upgrade in body or lens. 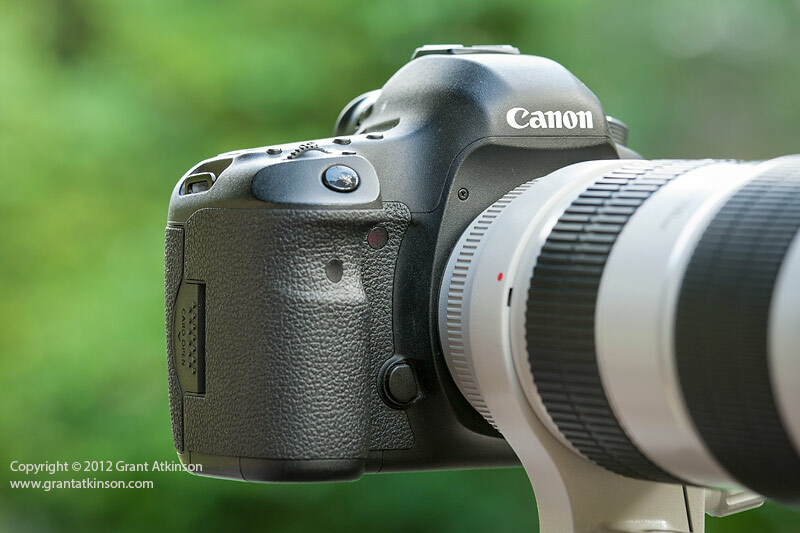 I don’t use Canon for no specific reason, but my interest in your reviews are to see how you use the equipment and how to use the trade-off to optimize our equipment. I use a 300 f2.8 with a 1.4 and 1.7 extender and find this a fantastic lens and provide great flexibility and image quality even with the extenders. I use it with a 12 mp and 36 mp full frame cameras and produce great results with both. I also enjoyed your review of the 70-200 f4 and helped me to decide to buy the 70-200 f4 as a second lens for nature and big game at close range. Last, there are not many professionals like you who so willingly share their experience and take the time to respond to messages. So thanks and well done. Excellent review Grant and as per our previous discussions, this review is very helpful. Personally I think I would go for the 5dmk3 as it is lighter, less bulky and ticks all the right boxes. I prefer not to use “bulky” grips as I have never yet used a full battery on a 3 – 4hr drive. I also think 6fps is adequate for my wildlife photography, although 10fps for birds would be handy. That I could probably get a good 2nd hand 1Dmk4 for roughly the same price as the 5D is food for thought, but I still think I would go for the more up to date 5D in my case. Great review. I know I’m a bit late but I need some advise. I’m planning to upgrade my camera body and can’t decide between a 6d, a 5d3 and a used 1d4. The thing is I can get a used 1d4 in great condition at the same price as the new 6d body. I wan’t a sturdy camera that is capable to produce great images in all types of allround photo areas (portrait, landscape, running kids and macro). The 5d3 seems great but in the absolute upper region of my economy. What is your advise to me here? If all of those types of photography are equally important to you, then the 1Dmk4 is a better all-rounder than the 6D, especially given that you want a sturdily built camera. For pure landscape, the 6D is better than the 1Dmk4, and it is also better for portraits, but as I noted above, if all the different types of photography are equally important, then the 1Dmk4 can do them all. The 1Dmk4 is a good do -it-all kind of camera, is super responsive, and using it is a pleasure, with its super 1D ergonomics. The 5dmk3 is even better as an all-rounder, but you if you can save the kind of money you are mentioning..get the 1Dmk4. Hi Emil, you raise a good point, and it may be that the 24-70mm is not wide enough on the short end for true wide-angle captures. If that focal length range is most important to you, then you may wish to consider the 6D. The 6D will also be most superior to the 1Dmk4 when shooting in very low ambient light, like indoors, with both image quality at high iso and low light autofocus performance. On the other hand, you could always get a lens with a wider field of view to use on the 1Dmk4 like the EF 17-40L f4 which is a fairly inexpensive lens, and would cover some of the focal length range of the 24-70 on a full-frame camera. Of the four types of photography you mentioned, portrait, landscape, running kids and macro, I would rate the 6D best at portraiture due to: (shallow depth of field from full-frame sensor) and landscapes (resolution, image quality, wider focal lengths with similar lenses) over the 1Dmk4. For running kids the 1Dmk4 is much superior due to (better AF for moving subjects, faster frame rate, faster response) and for macro i would choose the 1Dmk4 due to (smaller pixel pitch) meaning more resolution possible with small subjects and cropping. Anytime the light gets very low, the 6D will be superior. As far as ergonomics are concerned and response, the 1Dmk4 would generally be preferred by most, depending on how big your hands are. If you can perhaps prioritize which type of shooting/usage might be most important, then choosing the best camera of these two (6D and 1Dmk4) should be easier. I have a 1Dmk4 and do wildlife. I can’t afford a 1Dx much as I would like one so am considering a 5D mk3. The one area you didn’t touch on was high ISO, which of the two is the best in your opinion? Hi Ian, I find the 5dmk3 to be superior to the 1dmk4 at high iso. One needs to take into account the framing though. If you crop the 5d3 image until it matches the subject size and framing of the 1dmk4, you have a 13mp image from the 5d3 compared to 16mp of the 1dmk4. In such instances I found the image quality similar at high iso between the two, with the 5d3 having a slight edge. If you can use more than 13 megapixels for the 5dmk3 frame, then it builds on that advantage. So with no cropping, I find the 5dmk3 to be about a stop cleaner than the 1Dmk4. Again, for my own use, I am happy in low light to shoot the 5dmk3 at iso 3200, and I have perhaps only to do some very slight noise reduction on the background. When I am using hte 1Dmk4, I only go to iso 3200 as a last resort, and I have to do more work on such images in processing. Thanks Grant, it gives me food for thought. I am in the market for an upgrade of my camerabody. I will have variety of needs for my new camera: My kids at soccer (indoor and outdoor), concerts (low light indoor), portraits – and general purpose at holidays (incl. landscape). What do you recommend my. Is it the 5D3 or 1D4? The 1d4 is an older version to the 5d3, when it comes to AF, processor etc. Should I also consider this? Hi Thomas, what camera are you using right now to take the kind of shots you described above? Hi Grant. I started a year ago with Canon 700D (Rebel T5i), but my interest for photo has grown since. I hit the limits of the camera coming to action and low light. Hi Thomas, both of those camera bodies will be massive upgrades from the 700D. I would make a choice depending on how much low light shooting you are doing. If you can use the whole 5dmk3 sensor,, without cropping too much, then it is significantly cleaner in low light than the 1Dmk4. It only really gives up some speed – and you can maximize the 5dmk3 buffer performance by using a 160mb/sec CF card in it, for action. the 5dmk3 also can focus better in very low light, again most noticeable with indoor shooting and shooting at night. It also has a resolution advantage for landscapes. Given your list of subject matter above, I would choose the 5dmk3 (as i have done for my own shooting these days). Only for absolute speed, and a buffer advantage would the 1dmk4 be the better choice..obviously it is a bit tougher as well. Thank you so much for taking time to advice me on this. It has been a great help for me. Thank you! So far the best detailed comparison I’ve ever read. So clean and to the point. Thank you. I use a Canon 500mm f4 IS I with a 550d. As you can see I need a serious upgrade. My main concern are birds in action for print quality. In rainforests I need to shoot low light as well. This is 2015 and 1d4 is becoming an old tank.Everyone says 1d4 is an old body ,old technology and I would be in trouble in case of a repair.But I still have a great affinity for that body as it feels so professional. I can buy used versions of both for the same price. Do you think I will be in trouble if I stubbornly buy 1d4? Hi Kamal, sorry about my late response, I have been in the field. The 1Dmk4 is not that old, and it still does a fantastic job. Where the 5Dmk3 is noticeably superior, is every time you are able to get close enough to frame your shot, so that you dont have crop away too much. Any 5Dmk3 images that are more than 13 megapixels will of superior image quality, especially in really low light, to that of the 1Dmk4 with no cropping. Both of these cameras have pixels that are bigger individually than those of your current 550D, so you may find that you need to get closer (if possible) or crop heavily. 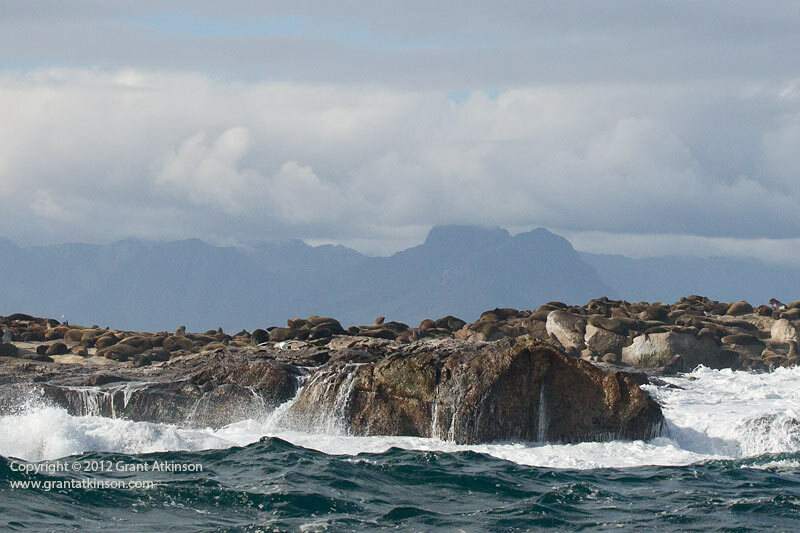 If you are cropping most shots very heavily, then the image quality differences between the 5d3 and 1Dmk4 diminish. Both camera bodies are massively superior to your current camera body for print quality bird images. Delighted to see your response. Thank you. It is a real relief that you said the 1Dmk 4 is not that old. That means I can buy it. By heavy I cropping I mean more than 50%. The maximum ISO speed I expect to go with 1D mk4 is 3200. If I can get a clean image with above conditions, I am satisfied. The reasons I want 1D mk 4 over 5D mk 3 are ,its higher frame rate, high dynamic range and built. If you were in my shoes what will be your choice ? Although the 1Dmk4 is 5 year old tech, it was the best tech that Canon could do at that time, so it doesn’t mean that everything about it is outdated. There have been evolutionary advantages along the way in cameras, rather than major changes. It has excellent AF, although the AF menus are not as well organized as the 5Dmk3. That said, I am happy to use the 1Dmk4 at iso 3200, but with little to no cropping, for print, with a little noise reduction work on the image and careful processing. For my own image quality preferences, if I have to crop a 1Dmk4 image taken at iso 3200 more than 50 percent, then it is likely to only be usable for the web, again with noise reduction. But of course, every individual photographer has their own tolerance of noise, as well as their own workflow. For lots of iso 3200 shooting I would choose the 5Dmk3. I don’t notice any dynamic range difference in my output images between 1Dmk4 and 5Dmk3. Obviously the 1Dmk4 has a faster frame rate and a bigger buffer (25-32 raw images with a really fast CF card). On the other hand the 5Dmk3 has five central AF points that lock on more positively in really low light. Currently my wife and I shoot with 4 Canon dslr bodies between us. They are 2x 5Dmk3, 1 x 7Dmk2 and 1 x 1Dmk4. My first choice is usually the 5Dmk3, unless the subjects are very fast (like for bee-eaters in flight) when the extra frame rate makes a difference. The 5Dmk3 has replaced the 1Dmk4 for most of my shooting. Your reply has answered almost all of my questions .But if you do not mind please clarify following as well. With my current body I hardly go above 400 ISO. So even 1600 will be adequate. So I suppose I won’t suffer 1D mark iv ISO. But the problem is ,will I suffer 5D mark iii’s frame rate in fast action and the reach(I do not use teleconverters)The other thing is can I get both ISO and frame rate advantage if I get 7D mark ii. But I not want get another APS-C model. 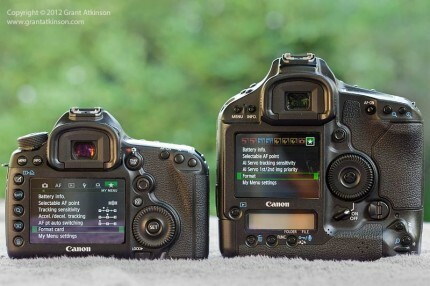 I’m curious as to the autofocus abilities of the 1d mark IV vs 5D mark iii vs 7d mark ii. I currently have a 5d mark iii and a 5d mark ii. I’m thinking about replacing the 5d mark ii with the 1D mark IV. The 5D mark ii has been collecting dust for some time now. I shoot motocross, weddings and some studio shooting and portraiture. I love how the 5D mark iii just nails focus at critical moments at weddings. I was really trying to see if selling the 5d mark ii for a 5d mark IV would be a wise decision. I would be looking for the 5d mark IV to do something better than the 5d mark iii. I would be hoping for better motocross shooting with the 10 fps. When shooting motocross I’m almost always at iso 100 so low light performance wouldn’t be a factor. My question is under low iso conditions which camera would work better for autofocus tracking and making magazine quality prints for motocross? I know the 5d mark ii would be much worse than the 1d mark IV in this regard but the 5d mark ii has the same image quality as the 5 d mark iii for weddings so I’m considering making the change to improve on the 5d mark iii somewhere. 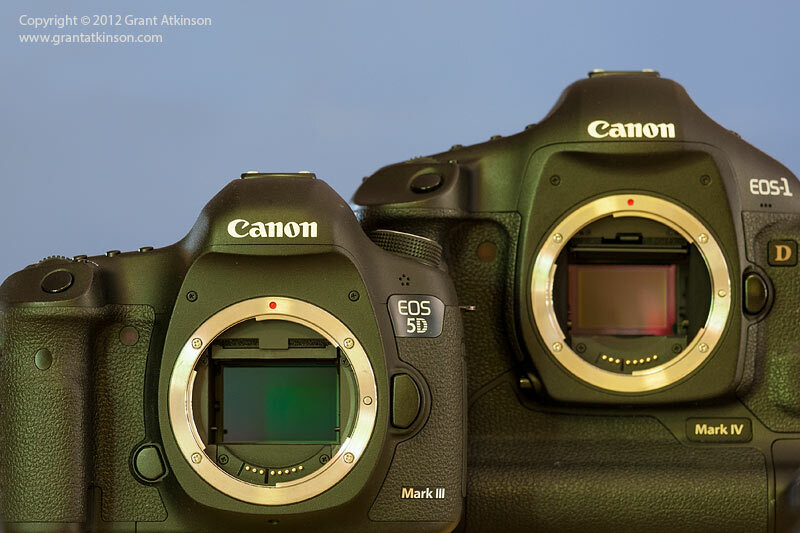 When using both the 5D mark ii and 5D mark iii during the same wedding (2 shooters), we have an equal number of keepers with each camera despite the unreal autofocus speed of the 5d mark iii. We are using different focal lengths so we are getting different types of pictures with each and of course each photographer has a different take on framing etc. The 5D mark ii takes quite a bit more time to correct color on the RAW images but the final products are similar. We are using mainly a canon 70-200 f2.8L is ii canon 24-70 f2.8L ii along with a few shots with a canon 17-40 f4 and a canon 85 f1.8 and canon 50 f1.4 for the wedding shots. We use exclusively the 70-200 2.8L is ii for motocross. I might also consider a 7d mark ii as our second shooter but would be concerned about the higher iso image quality using the 1.6 crop sensor. Sorry for my late response, just back from the field. Thanks for the information that you supplied, along with your question, it helps to have that much background info. In comparing the performance of the 5dmk3 to that of the 1Dmk4, for motocross, and at lower iso, there are advantages and disadvantages to both. If you are shooting from the same physical location, and are able to frame the images equally, you will be comparing a 22mpx full frame grab with a 16mpx APS-H crop frame, so there will be a detail advantage to the 5d3 file, at any iso. If it is of use to you, the 5dmk3 will also allow you a wider frame to place your subject in, if unexpected movement occurs. In other words, I find the 5dmk3 full frame perspective a bit more forgiving in clipping subject edges etc over the 1Dmk4. The 1Dmk4 holds an advantage with 10 fps, specially if there are specific frames that you might miss with the 6fps of the 5dmk3. Also, the 1Dmk4 has a deeper buffer which might help you when shooting long action sequences. I mitigate that by using 160mb/sec cards in both cameras. If you crop the 5Dmk3 image to 13 mpixels, you get similar colour quality to the 1Dmk4 at 16mpx, and similar detail, overall image quality – perhaps the cropped 5dmk3 file may be very slightly better. I found the 1Dmk4 images right up to iso 800 were easily good enough for magazine double page spread use, even cropped to 10mpx. After that i had to so some noise reduction work. Both are good cameras and I used one each side by side for quite a while. now the issue I face is this i had the 5d mk ii moved up to the 5d mk iii and its great however i use a 120-300 f2.8 and a 24-105 f4 both with a 1.4x teleconverter with some pretty good results, however i was out the other day and had the 120-300 on with the 1.4 trying to get a shot of a kingfisher i got the shot and it was circa 10/12 feet from me but shows really small in the resulting image. I’m toying with the idea of switching to the 1d mk iv, however the 22mp to 16mp drop concerns me in two ways am i still going to be able to print my images from the mkiv at around 3×2 feet or 4×3 feet in size and secondly for capturing smaller birds flying which focuses better and tracks better in decent light iso 100-800 range usually although sometimes i will go up to 2000 on the 5d. also as an off shoot I’m now getting into macro and wonder which would perform better in terms of detail and pc control for focus stacking. 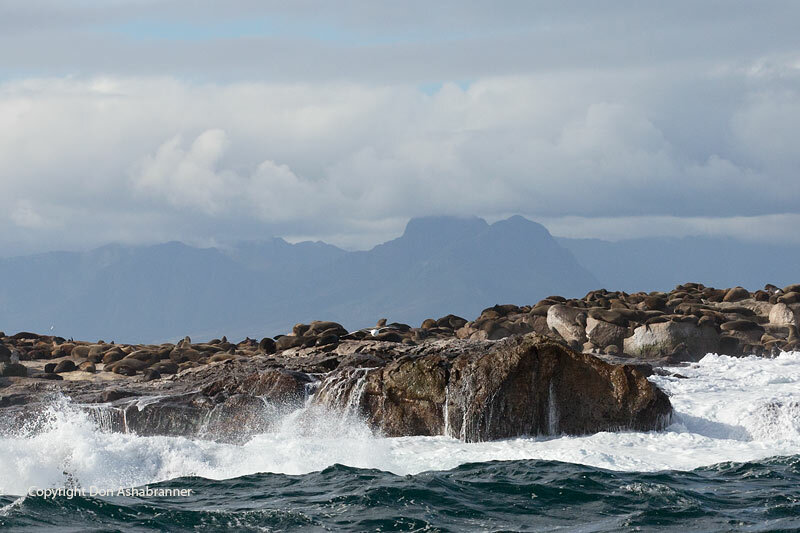 i have thought about when i do want to do a scenic landscape shot using the 1d i could quite easily taking multiple vertical images and stitch them. what are your thoughts on that. You have some interesting questions in your post, and I will try to give some opinions and share my experiences. You will still be able to make those print sizes from the 1Dmk4 but they will likely not be quite as rich in quality as an equivalent print from the 5Dmk4, and of course, if you are going to print big, then you really would wish to be cropping the 1Dmk4 images as little as possible. For images of very small subjects, like the kingfisher you mentioned, that you are going to crop heavily anyway, the 1Dmk4 is better than the 5D mk3, but it is not a big difference. Depending on how you measure it, say between 5 and 10 percent bigger. The 1D Mk4 images hold up well at iso 800, after that they show more noise than the 5Dmk3 if cropped heavily. The pixel size on those two sensors is not that much different, it is 5.7 microns compared to 6.2 microns. The one aspect where I would say that the 1D Mk4 is better than the 5D Mk3 is at focusing on moving subjects/tracking AF when used with a teleconverter. I found the 1D Mk4 to still focus quite fast and positive whereas the 5Dmk3 slows down a fair bit once a converter is attached. Without a converter, I usually found that the 5Dmk3 AF was just that tiny bit more stable and I would end up with around the same number of keepers when shooting action sequences due to it being more accurate, though the 1Dmk4 makes up some of that back due to its 10fps frame rate and deeper buffer. For sure you can shoot nice landscapes with the 1Dmk4 but the 5Dmk3 will make it much easier to do that. I found both these cameras to do a quite similar job in many circumstances, as per the review, but overall i ended up preferring the broader capabilities of the 5Dmk3. However, if you rarely shoot above iso 800, then the 1Dmk4 is a very capable action camera. If you are after much finer resolution to help get ‘closer’ with your 420mm lens combination, have you considered perhaps a used 7D Mk2 body, which has much smaller pixels (4.1 microns) and keep your 5Dmk3? Used 7Dmk2 bodies can be had for pretty good prices these days and that camera is also good up to iso 800 in good light. Hope something there is of help? 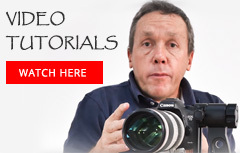 Hi Grant I came across your photography videos today and for the first time I have found someone that knows what they are talking about when it comes to great equipment and cameras, lens, etc. I am an avid photographer and are yearning to further my field in more landscape and environmental also portraiture works. I am in the process of buying a new 5D mark IV which I am sure will do my work for me of what I wish to capture. Your information is very informative and no garb it is straight to the point and you surely know your gear. Thank you for sharing your expertise in the field of photography. I am also interested in the types of tripods that are best and I am in two minds about what brand is best. Thank you for your time and efforts. Cheers Barbie from Barefoot Productions Photography. Glad you found the videos useful. The 5Dmk4 is a seriously good camera and it ought to be capable of producing exceptional results in the types of photography you mention. About tripods, there are many options, and I don’t know what your preferences are, but some general things to consider when it comes to tripods are: Weight – would you need to carry it around a lot? Strength and stability – obviously that is important for the tripods core function. Height/ease of setting – if you are going to be putting it up and down a lot, it can pay to get a tripod that suits your height with the fewest adjustments. Durability – carbon fibre and aluminium are the most common choices. I use tripods made by Slik – they are mid range models, and I choose the heavier aluminium model for maximum stability when I don’t have to travel far. For travel I have a lightweight carbon fibre model.